The Walking Dead and Twitch have teamed up for a PUBG stream this weekend. Eight different Twitch streamers on two teams of four will team up in PUBG Zombie Mode leading up to The Walking Dead Season 8 finale. One team will represent the show Fear the Walking Dead and the other The Walking Dead, according to Polygon. Viewers will be able to participate as zombies and special emotes based on the show can be used to “cheer” for the teams. Streamers Anthony_Kongphan, ChocoTaco, Fairlight_Excalibur, GoldGlove, iiJERiiCHOii, JoshOG, Sacriel, and VernNotice are the participants. Dubbed Survival Sunday’s Battlegrounds, the stream will run 3-4 hours and starts Sunday, April 15 at 1pm PDT, 4pm EDT, 9pm BST. It is scheduled to end around 5pm PDT, 8pm EDT, and 1am BST which is an hour before the season finale kicks off. 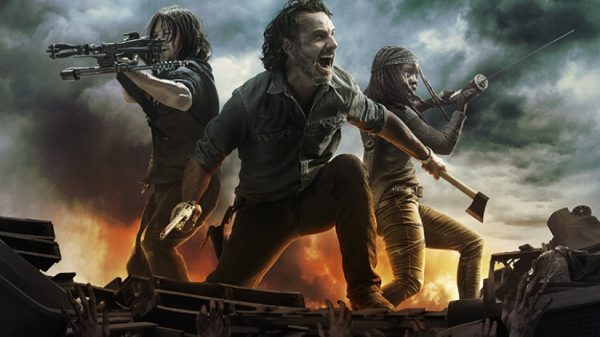 The Season 8 finale for The Walking Dead Season airs April 15 at 9pm EDT. It will be followed by the Season 4 premiere of Fear the Walking Dead at 10pm EDT.